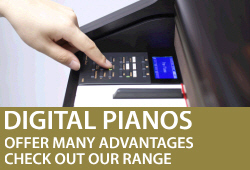 Do you have a piano or digital piano and are looking to upgrade? 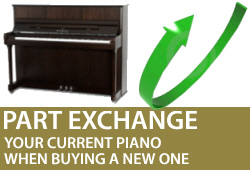 We offer part exchange on all the pianos we sell. Provided your piano is in good condition and is a piano that we can guarantee when resold we will offer a part exchange value when buying a piano from us. We also sometimes consider part exchanging digital pianos as well. 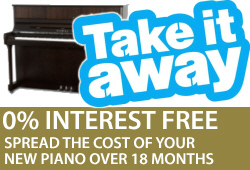 For more information on piano part exchange give us a call on 01932 866577. Whether you are a young musician or an adult learner we can help. Pop in the shop and ask us about beginner pianos. 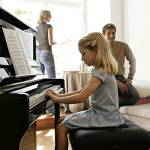 If you've done a few grades and are looking to upgrade your piano we can help. 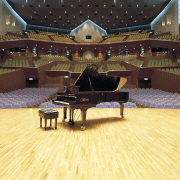 We have a great range of top level pianos for the discerning pianist. We also have a floor of grands for you to try. We do a lot of work with schools and institutions working within tight budgets and time constraints.